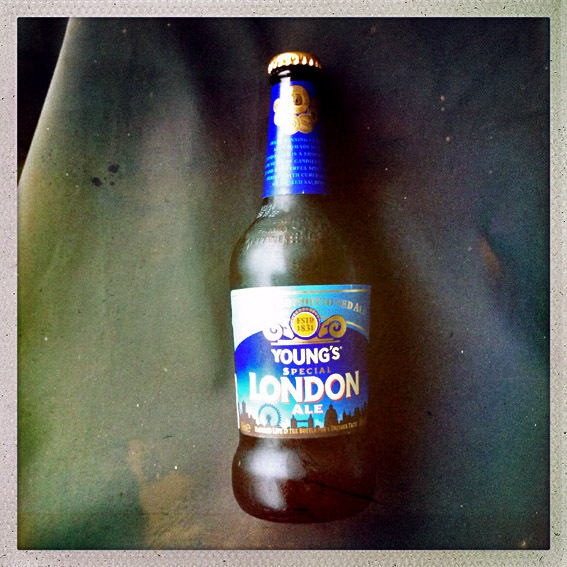 I always get excited when I try a new Young’s ale, I just know it’s going to be good. I was a convert for their Banana Bread Beer and an evangelist for their Double Chocolate Stout. How would they go with a beer flavoured ale? Well, there’s a clue in the name ………. ‘special’ is one way to describe it. 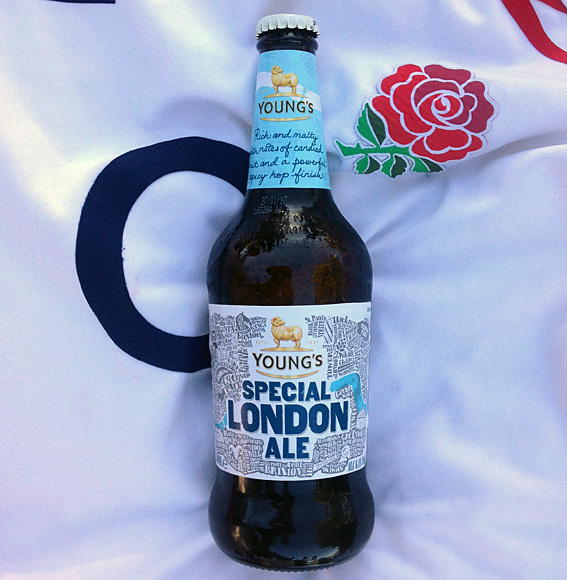 Young’s London Ale ……… it’s a bit special! 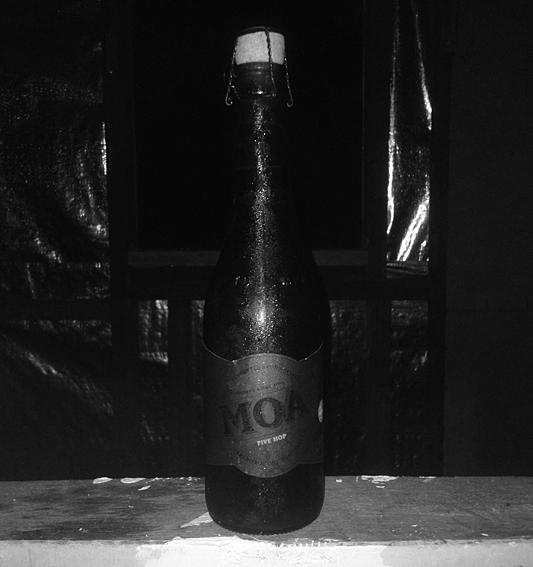 It pours nicely into the glass, with beautiful fat bubbles from its bottle conditioning. The colour of toffee caramel, a warm orangey brown, there’s a sweetness on the nose, (toffee apples spring to mind) but the taste is more complex. Toffee, yes, but three’s also layers of bitterness with hints of kumquat and olde English marmalade. I drank this a little cooler than I normally would but the subtleties of the taste still shone through. 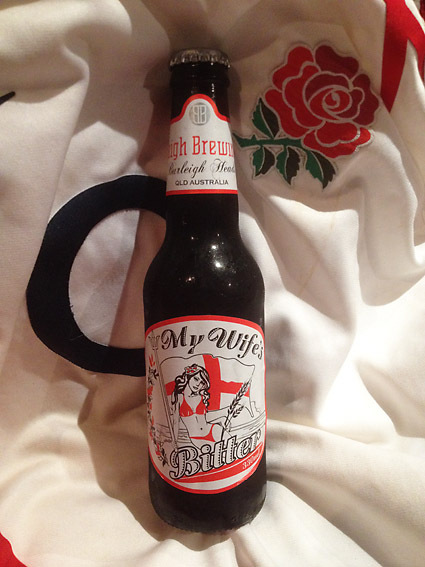 A thoroughly refreshing pint, it would go well with another bottle of Special London Ale. Here’s something else a bit special, London Grammar with ‘Strong’ ……. 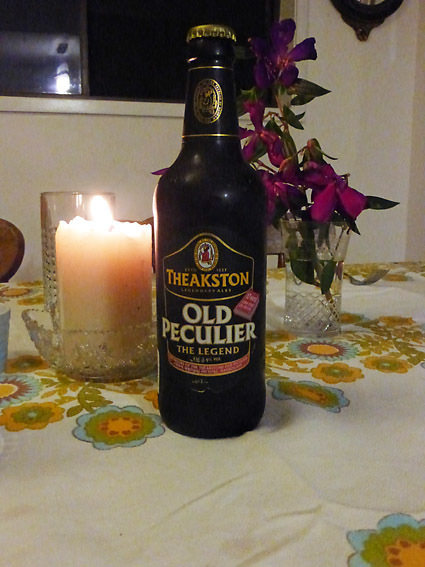 ‘Theakston Old Peculiar‘. Just the mention of the name conjures the archetypal image of the CAMRA member, bearded, woollen jumper under tweed or corduroy jacket with leather elbow patches, supping his pint from a dimpled glass with a handle. 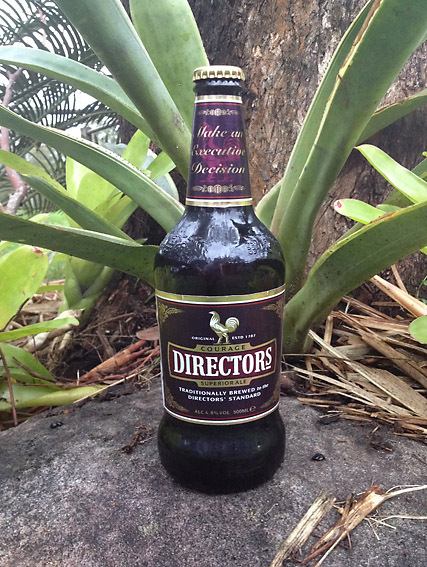 If only the campaign against coal seam gas could be as successful as the one for real ale! 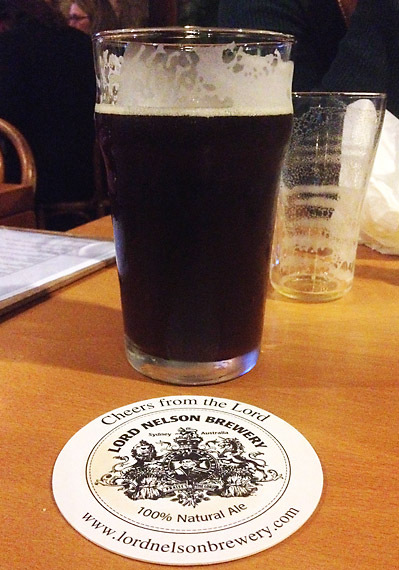 Old Peculiar is a dark and mysterious pint. The colour of polished teak, impenetrable to light, it could almost be a stout. Toasted malt and a little fruit on the nose is followed by burnt toffee-apple and roasted coffee beans on the palate. It has the character of an Olde English ale, capable of getting you lost on the moor on the way home. A few of these would make you most peculiar indeed! Most peculiar mama! Here’s another English legend, John Lennon. I was going to go for ‘Nobody Told Me’ but after careful consideration, I’ve hopted for ‘Instant CAMRA’. ‘What’s Easter without chocolate’? I hear you say. 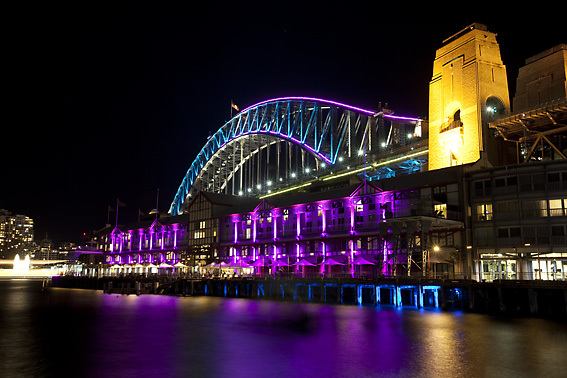 ‘A religious festival free of rampant commercialism’ I reply. There’s more to Easter than preaching the gospel of tooth decay, obesity and type 2 diabetes. Hence I shun the chocolate egg, let the whippets loose on the Easter Bunny and try a bottle of ‘Old Tom with Chocolate’ to prove I’m not a complete cynic. 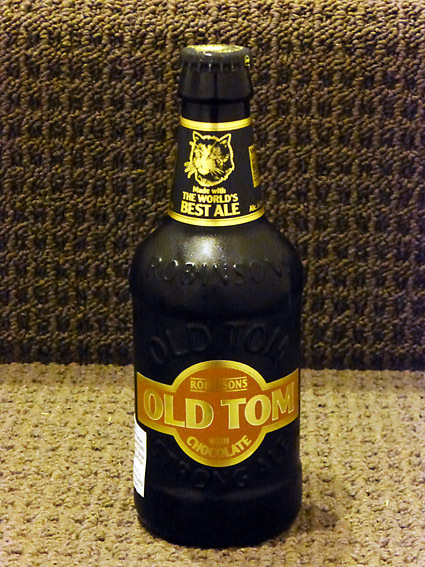 Robinson’s have been brewing in the UK for over 175 years and their 8% ‘Old Tom’ was voted the ‘World’s Best Beer’ (it says so on the label). This version has been toned down to 6% but is still a full-blooded bitter. The chocolate is evident in the aroma and even the rich brown colour, but only subtly in the taste. 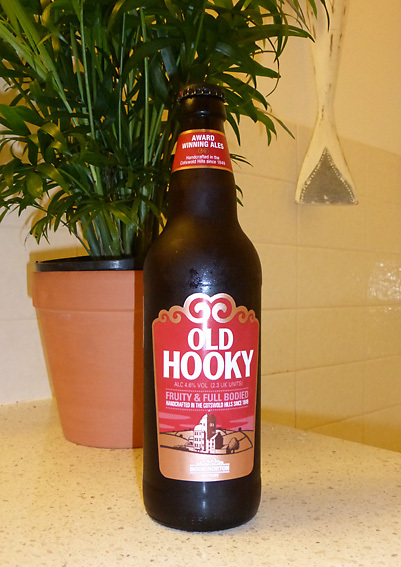 This is a heady brew, deep, strong flavours with coffee and cocoa undertones, not at all sweet. 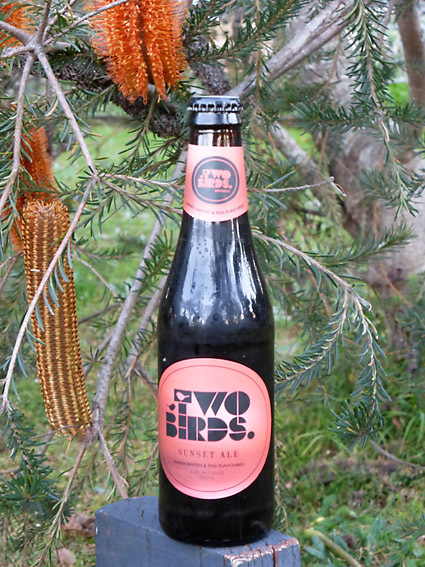 It’s a great winter ale and not what you might expect when you read ‘chocolate’ on the label ……. nice bottle too! Here’s The Stone Roses with ‘I Am The Resurrection’. Happy Easter everyone.